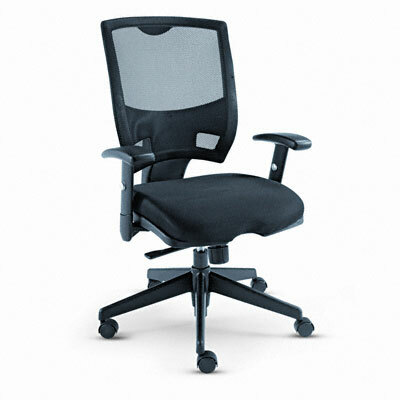 Has height/tilt controls and five-star black base with casters. Aesthetically designed for contemporary appeal. Mesh-covered curved back for added support. Five-star base with casters. Casters supplied with the chairs are not suitable for all floor types. Pneumatic seat height adjustment. Arm Height From Seat 6 1/2" to 9"